A simple, yet comprehensive cloud-based task management software to help you manage tasks, defects and improvements on plans; and then track them to completion. 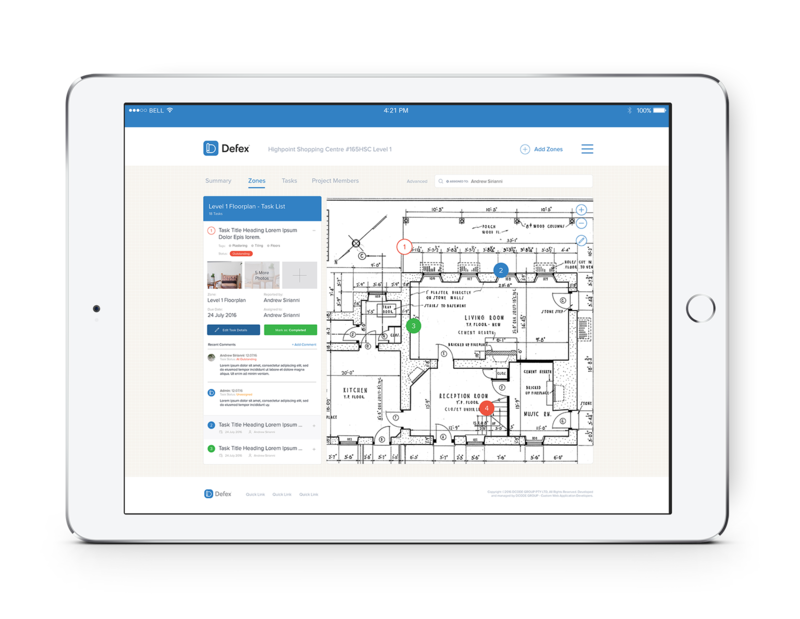 Defex was developed to be a simple, yet powerful, cloud-based defect and task management software. Our software allows you to annotate plans, allocate tasks and manage these tasks through to completion. Annotate your task or defect on the site plans - showing exactly where the issue is located. Assign responsibility for the task to a user - ensuring visibility over who is responsible for each task. With Defex, you can add your entire team; we don't cap the number of users. Use our workflow boards and management systems to help track and manage your tasks/defects from start to completion. Defex can be accessed via your computer, tablet or mobile phone. You can have full control over your defects from any device. Track your tasks in our simple, easy to use workflow methods. Annotate and mark-up your plans to pinpoint exactly where your defects/tasks are located. Load pictures of the problem to help users easily see and identify the nature and extent of the problem. 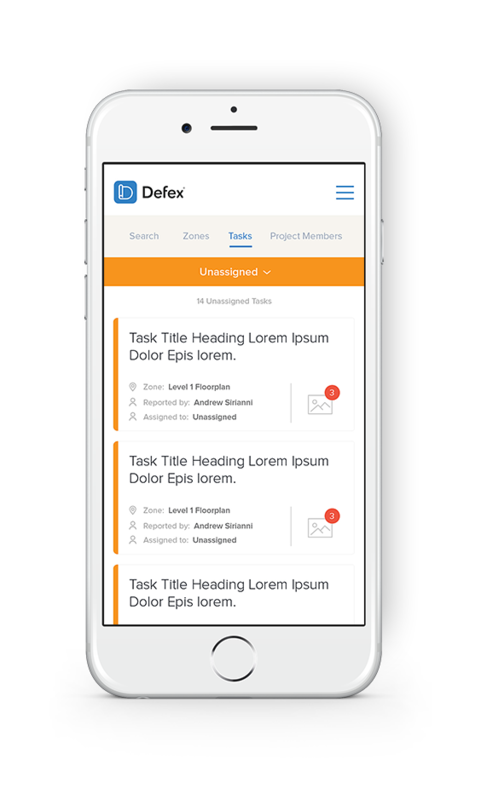 Defex has been designed and developed to be simple to use task management software, while offering the functions and features required for larger projects. Take Defex on a 30 day trial to see how it can help your business in its Defect, Task and Inspection related activities.